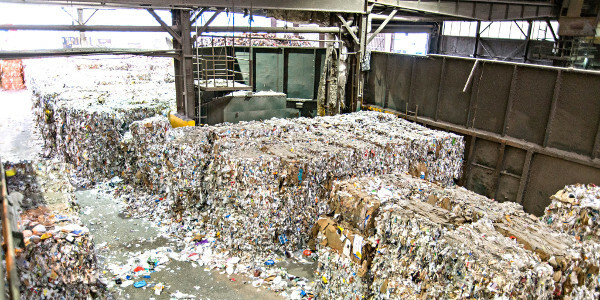 A recycling facility in Seattle, Washington fills up as waste managers are struggling to find plants to process their recyclables. Credit Wiqan Ang/New York Times. Read on to find out more about how, because of a far-reaching rule change in China, some of the recyclables are ending up in the local dump anyway. Today, May 27, 2018, marks the 111th birth anniversary of Rachel Carson, a writer-biologist for the U.S. Fish and Wildlife Service, whose writing on pesticides in 1962 inspired a grassroots environmental movement that led to the creation of the U.S. Environmental Protection Agency and banned the use of DDT in the United States. In 1969, the Coastal Maine National Wildlife Refuge was renamed the Rachel Carson National Wildlife Refuge. In 1980, President Jimmy Carter posthumously awarded Carson the Presidential Medal of Freedom. 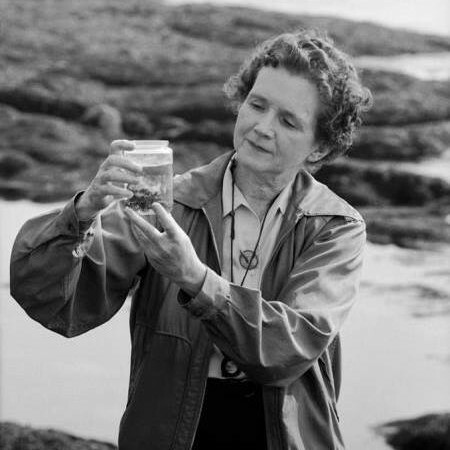 Read more about this remarkable marine biologist in the 2012 Fall issue of Fish & Wildlife News that celebrates the 50th anniversary of Rachel Carson's groundbreaking book, Silent Spring. A feral cat at Shoreline Park, home to about 50 burrowing owls that nest in the ground. Credit Jason Henry/New York Times. Cats have stalked birds forever, but in Shoreline Park a final victory is at hand. The number of cat sightings there last year was 318, according to the City of Mountain View’s official count. And 2017 was the first time in 20 years of record-keeping that no owl fledglings were observed in the park. Associate needed to assist San Francisco Bay Wildlife Society (SFBWS) at the Don Edwards San Francisco Bay National Wildlife Refuge from July 2018 – June 2019, working 1 day (Saturday) with the possibility of an additional day (Thursday). Associate will work at the Don Edwards San Francisco Bay National Wildlife Refuge Environmental Education Center in Alviso. (http://www.fws.gov/desfbay). The associate will be working under the Watershed Watchers Program Coordinator, promoting the Watershed Watchers mission, (http://www.mywatershedwatch.org/), funded by Santa Clara Valley Urban Runoff Pollution Prevention Program (SCVURPPP). The Associate will be a part-time employee for the San Francisco Bay Wildlife Society (SFBWS), a not-for-profit friends group to the San Francisco Bay National Wildlife Refuge Complex. The primary mission of SFBWS is to promote public awareness and appreciation of the San Francisco Bay and its natural history, and to conserve and preserve the remaining Bay lands as essential wildlife habitat. Saturday, May 19, 2018 is National River Cleanup Day. Come help out with litter collection as we join others around the world in an effort to keep our rivers clean. Together with other concerned citizens, we’ll pick up trash and tidy up a local body of water. Come with a hat, sunscreen, and a great attitude, and we’ll provide the rest. Plastic bottles and bags, fast food packaging, cigarette butts and other litter along Santa Clara County’s waterways is not only awful to look at, but affects local creeks and streams as well. If and when it does rain, this litter is swept off the roadways and into storm drains that flow directly to local waterways, posing a threat to both the local habitat and water quality. Also, when the accumulation of litter is paired with natural occurrences, such as broken tree limbs and erosion along creeks and streams, debris can impair the flow of water, increasing flood risks. Each year the Santa Clara Valley Water District partners with Creek Connections Action Group, a consortium of five public agencies and non-profit organizations in Santa Clara County, to host cleanup sites for National River Cleanup Day. Santa Clara Valley Water District coordinates site selection, volunteer recruitment and marketing efforts. In 2016 more than 1,124 volunteers at 48 sites across the county cleaned up more than 61 miles of waterways and picked up more than 3,135 pounds of recyclables and 30,292 pounds of trash. For cleanup day, wear long pants, sturdy shoes and don't forget the sunscreen. Clean-up supplies and light refreshments will be provided. Volunteers will need to bring their own pick-up sticks and all youth under the age of 18 will need to be accompanied by an adult. For a list of cleanup locations, registration information and more details about National River Cleanup Day, visit http://www.cleanacreek.org/volunteerinformation.asp. The eggs have hatched! Let’s celebrate the new mamas! Come with your family to experience the refuge for FREE guided nature walks, a live bird show, crafts for mom, and games. Fun for the whole family, especially mom! Bring a picnic and enjoy the wetlands and wildlife! Priority to those who register early: https://mothersdayeec2018.eventbrite.com. For more information call 408-262-5513 ext 102 or 104. Saturday, May 12, 2018 from 10:00 p.m. – 3:30 p.m.
On Thursday May 10, 2018 join tens of thousands of regular and first-time Bay Area residents who will bike to work for the 24th Annual Bike to Work Day, part of the National Bike Month. More than 90 Energizer Stations in Santa Clara County and 40 in San Mateo County will give people on bikes a chance to stop and get a snack, a tote bag, goodies, and a few words of encouragement. Stop at our energizer station on Marshlands Road at Don Edwards San Francisco Bay National Wildlife Refuge in Fremont from 7:00 am to 9:00 am and pick up a free tote bag, while supplies last. 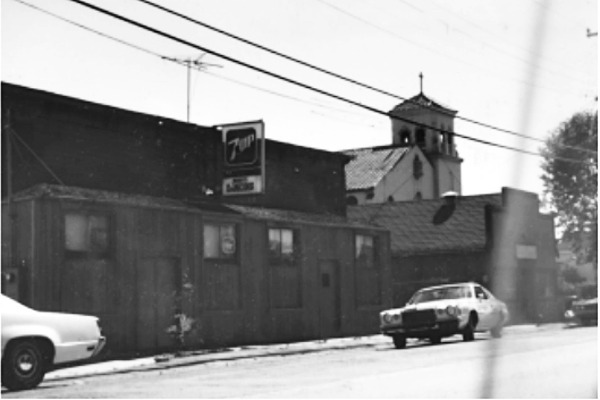 Join a walking tour of the historic Alvarado district in Union City, CA led by Timothy Swenson of the Washington Township Museum of Local History (WTMLH), Fremont. Venue: Meet in the parking lot of Alvarado Elementary School at 31100 Fredi St., Union City, CA. The half-mile tour will take walkers through 4 streets in old Alvarado while Swenson shares details about 43 historic buildings, many of which are now gone. It will start at one end of Alvarado, go down Smith Street, divert to Vallejo Street, then down Union City Blvd, and finally end up on Horner Street. The tour covers the core of old Alvarado as it existed for many years, before housing was built around it, starting in the late 1970's. 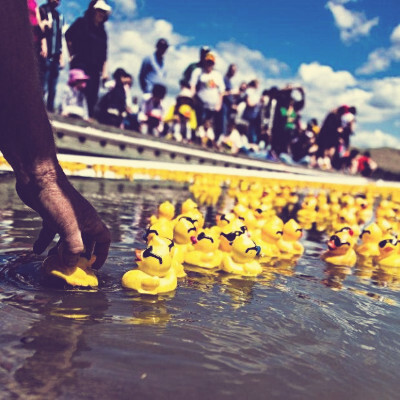 Help raise funds for the 24th annual Tri-Cities Ducks For Bucks Race benefit, sponsored by the Kiwanis Club of Fremont. Time: Family games start at 11:00am while the duck racing would start at 1:00pm. Venue: The boat ramp of Lake Elizabeth at Central Park in Fremont, CA. Entry Fee: $5 per Duck or 6 Ducks for $25. Entry form required by Friday, April 20, 2018. The Kiwanis Club of Fremont has been organizing this annual charity rubber duck race since 1995. In 2017, around 7,000 yellow toy ducks were adopted and nearly $16,000 was handed out to participating Tri-City schools and charities. The goal for 2018 is to sell entries for 8,000 rubber ducks. The Washington Township Museum of Local History (WTMLH) in Fremont, a participating organization, aims to raise funds for their continued archiving work as they make headway on their online photo collection, the Robert Fisher 8x10 photo collection, and much more. Are you interested in seeing the flower blooms around some of the last intact vernal pools in the East Bay? You will learn about the unique features of vernal pool grasslands, and hopefully observe the pools in what will likely be a good rain year! Participants will see endangered Contra Costa goldfields (Lasthenia conjugens), Downingia pulchella, several Plagiobothrys, and other native vernal pool and upland species. Tours will occur at the Warm Springs Unit of the Don Edwards San Francisco Bay National Wildlife Refuge in south Fremont. These walking tours are typically in April and will be conducted on a Saturday and a weekday with two tours each. The tour will last 1.5-2 hours. Total walking distance will not exceed one mile, but terrain is uneven. Participants also must climb up and down a short step ladder to cross over fencing. Please wear sturdy shoes and dress according to the weather. Heavy rain will cancel. To optimize the botanical beauty on our tours, we will finalize the tour dates three weeks before the peak bloom. We will notify people on our email list, website, and social media. Peak blooms are dependent on the amount of rain we receive. To sign up for the email list, contact Ivette Loredo at ivette_loredo@fws.gov. Once dates and times are released, you will need to register to reserve a spot (sign up information will be sent with dates). Once registered, directions to Warm Springs will be sent. Each tour is limited to 20 people due to the sensitivity of the vernal pool ecosystem.